Custom Service: Huadong Cable Group provide custom PFA cable service, you just need leave your message. We will reply you within 12 hours. What are the conductors of PTFE wire? PTFE wire is a kind of high temperature Teflon wire with PTFE insulation. If you need to buy PTFE cable, Huadong Cable Group will be your ideal choice. HDC Group is a famous PTFE insulated wire manufacturers in China.I am gonna to tell you some details about PTFE insulated wire in the following. If you don’t know much about the PTFE coated wire, you can send your inquiry after reading the following. If you already know what is PTFE wire well, you can send your inquiry directly. What are the structure of PTFE Teflon wire? Different PTFE Teflon wire conductors are mainly used to meet various functional requirements. Such as welding, electrical conductivity, and wear resistance. Not only the PTFE high temperature stranded wire price is different. 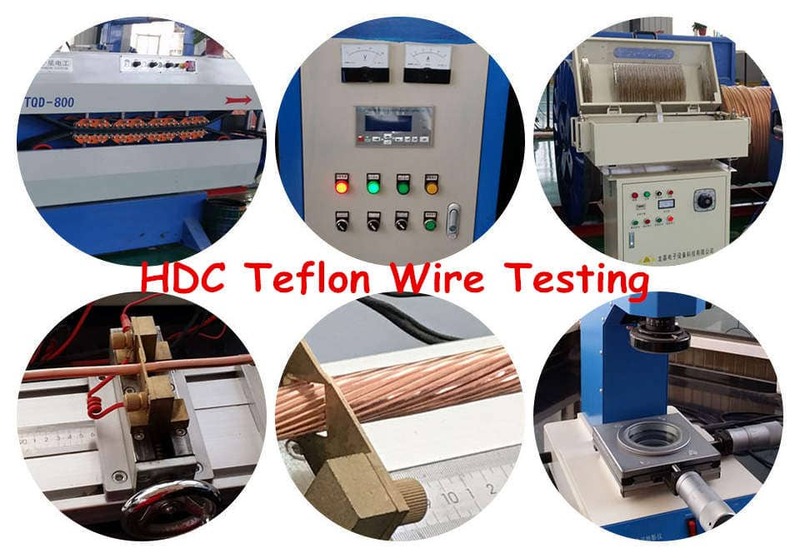 You have to choose the right PTFE Teflon wire conductor according to your actual use environment needs. What kind of PTFE coated cable do you need? Just leave your message. What are the features of PTFE cable nickel plated copper conductor? The melting point of nickel is about 2 times that of copper. Therefore, nickel can effectively protect the coated copper conductor from high temperature. After the copper conductor is plated with nickel, the resistivity is slightly higher. But the flexibility and fatigue resistance of PTFE cable are improved. It is very important to use nickel plated copper conductor at a temperature of 250°C. Usually 2% by weight of nickel plating is sufficient. If you need PTFE hook up wire with nickel plated copper conductor, please contact us. Huadong will manufacture high quality and low price PTFE coated wire for you. What are the features of PTFE insulated wire tinned plated copper wire? 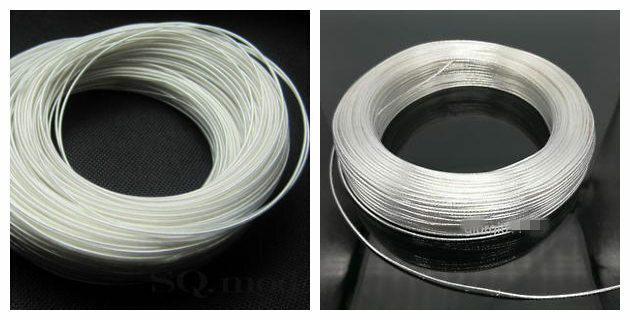 What are the advantages of PTFE silver plated copper wire? Silver has good adaptability. And its electrical conductivity and thermal conductivity are the highest among all metals. Therefore, silver plating on copper core in PTFE Teflon wire can well combine the characteristics of the two metals. Wire PTFE silver plated stranded copper wire not only has good electrical conductivity, but also can effectively withstand high temperature environment. If you want to buy PTFE silver plated copper wire, please leave your message. In addition, any further questions about PTFE high temperature stranded wire please feel free to contact with us. How about the cable PTFE wire price? However, there is one of the important factors that can’t be ignored. That is, PTFE silver plated stranded copper wire is relatively expensive than other kind of PTFE insulated wire. At the same time, conductivity should not be the only standard for your choice of cable PTFE wire. You should consider various factors to choose the PTFE insulated wire that suits your needs. For example, high temperature performance of PTFE coated wire, low temperature resistance and resistance to various chemical influences. At the same time, you should consider your PTFE cable cost budget. Leave your message to tell us what kind of PTFE equipment wire do you need. How to choose the right PTFE coated wire? What kind of PTFE high temperature stranded wire do you need? 18 AWG PTFE wire, PTFE shielded cable, PTFE hook up wire, PTFE insulated multicore cable or PTFE silver plated stranded copper wire? Just leave your requirements. If you still don’t know how to choose the right wire PTFE cable, please feel free to message us. 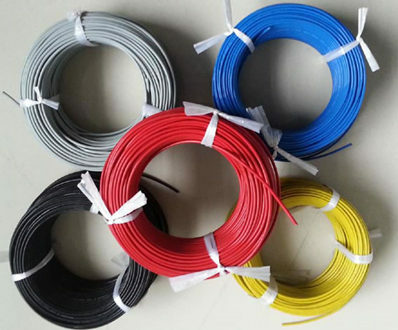 As one of leading cable PTFE insulated wire manufacturers in the world, we have a lot of experience of advising on cable PTFE high temperature stranded wire selection. Whether it is the choice of PTFE hook up wire conductor or the choice of PTFE cable gauge. All of these problems we can help you. Our professional technical team is available to discuss your special application and to help you meet the specific wire PTFE coated cable requirements. Product Process: Our PTFE wire use the high quality nickel/silver/tinned plated copper conductor material and Teflon PTFE insulation material. Every production process has been strictly checked by our professional technical engineers. Package & Delivery: Huadong PTFE cable packaging by roll or wooden drum or according to client’s requirement and deliver on time definitely. Customer Case: Our PTFE insulated wire products have been exported to more than 30 countries, such as: Russian, America, Yemen, South America, North America, Middle East, Africa, Asia, Oceania countries, etc.